If you are traveling in a large group or by motor coach you’ll definitely want to arrange for a step on guide. We have several companies that will arrange this for your group and contacting our Visitor Center at 319-622-7622 you will be able to obtain more information. The first stop is at the main campus of the Amana Heritage Society. An award-winning video that helps explain our history and the communal era (1842-193) will set the tone for your tour. You will have some questions about life during this time or how things have changed or not change and your guide will gladly explain. 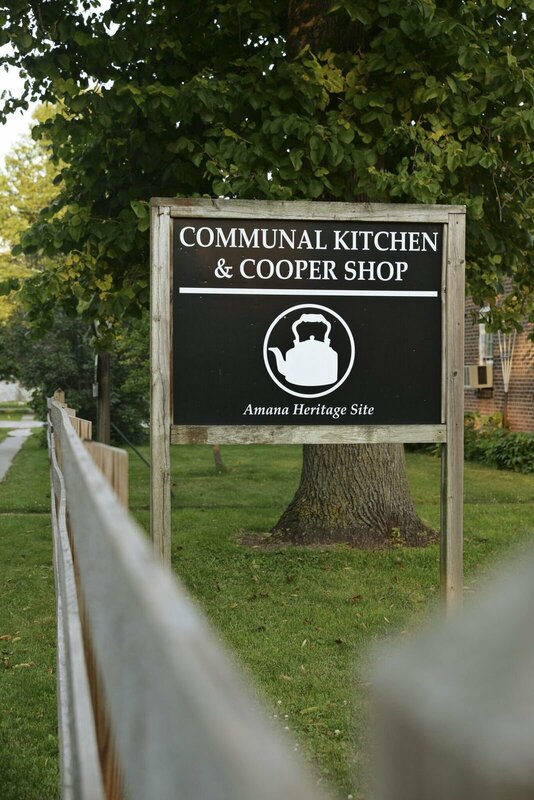 The second stop is in Middle Amana at the only surviving intact communal kitchen. Here you’ll learn about shop street and then enter the kitchen and discover how 40 people were fed 5 times a day, what the meals were like, and how nothing was wasted. It is a fascinating look at something we all take for granted, dinner time. 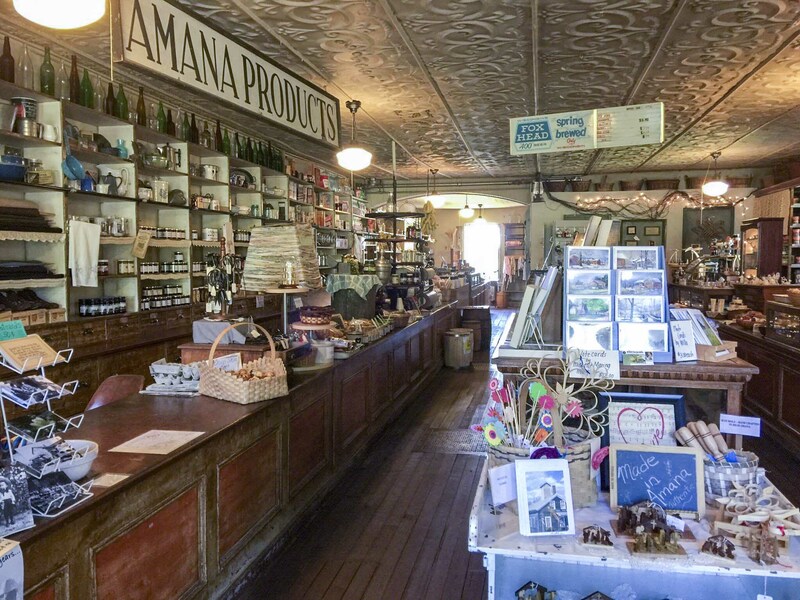 Our third stop is to the High Amana General Store. This is a trip down memory lane. The store seems frozen in time, tin ceilings, old display cases, in fact, it’s like walking back in time 100 years. Everything is original except the products that are sold and the clerk. The final stop is at the old Homestead Church. 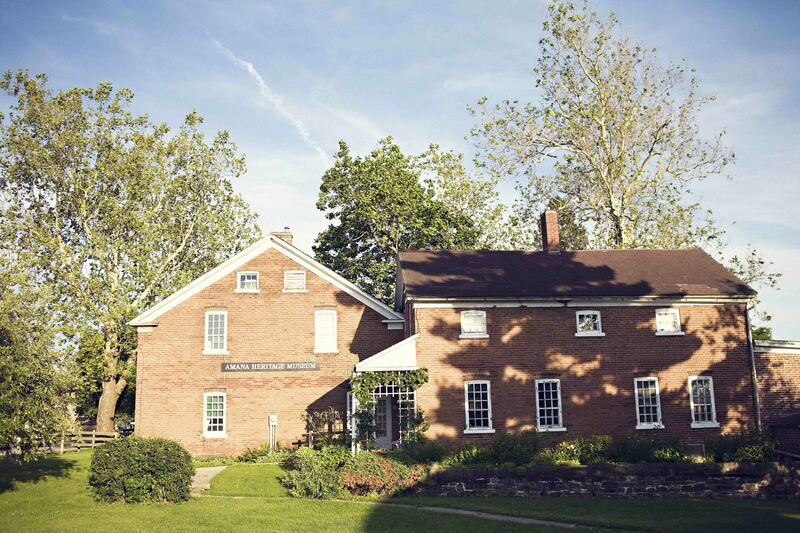 Each village had its own church but today the Homestead Church is no longer used for services and has been given to the Amana Heritage Society. You’ll be able to enter the church and learn about the Amana Church Society religion. 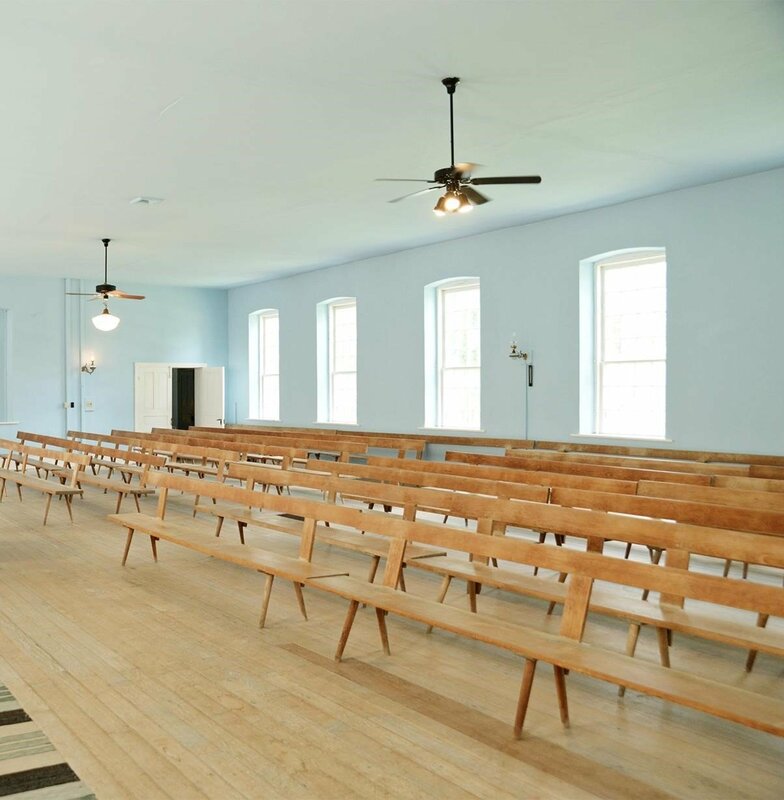 Sit on the plain pine benches that are still used today and learn about the beliefs of the church members and how it is different or similar to your religion. The Village Voyage tours are available Monday-Saturday at 11 am and 2 pm. Tours run from May-October. The cost is $20/person and reservations are recommended since seating is limited. Call 319-622-7622 to reserve your seat.